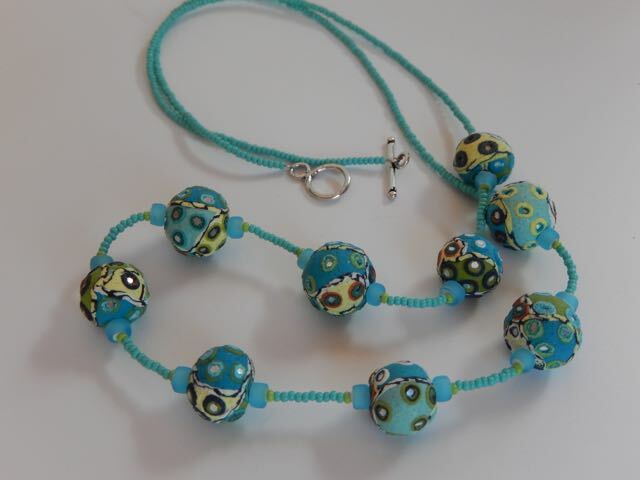 A very limited range of beautiful items has been made using our turquoise shisha beads. 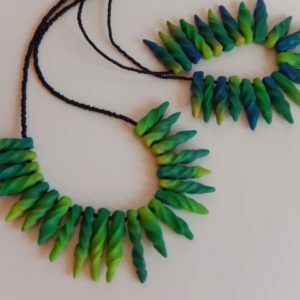 All are OOAK and combine our luscious shisha beads with strands of coordinating pote (Nepali wedding beads which are worn to signify that a woman is married). 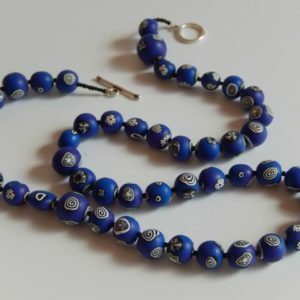 Most Nepali weddings beads come from the Czech Republic or Japan. This particular single strand necklace features 9 of our shisha beads with coordinating pote beads. 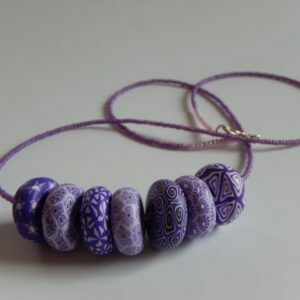 The necklace is approx 74cm long and has a silver coated toggle clasp.